Kristy Bell created a very personal and poetic piece about her struggle to belong. 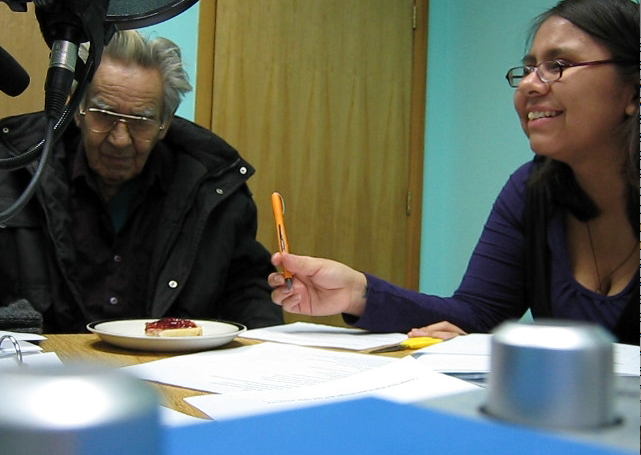 Kristy was given the Haida name for Bashful by her Ts’inni Steven (our language expert), so this language translation session was very personal and wonderful. Kristy's story is about a journey to discover the world out there, only to discover that her heart is content when she is surrounded by her community and her roots. Kristy calls herself a “photographer-poet” which is very apropos. 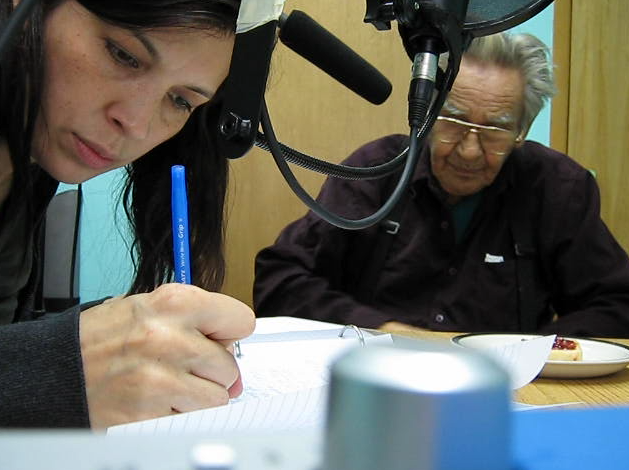 Kristy is taking Haida language courses and even narrated some of her piece in the Haida language. 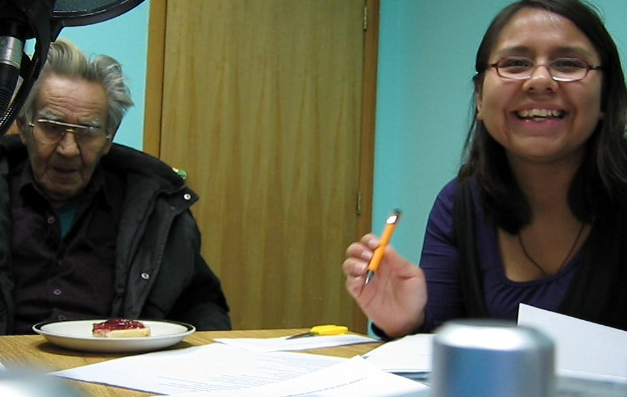 Always with tea and toast with jam, we all convene at the preschool in Old Massett for language translation. 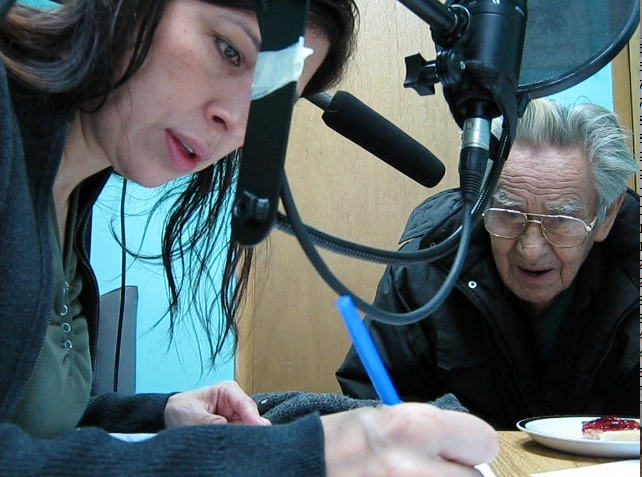 Our World was very lucky to get to work an incredible language team - because as we have learned - it takes a village to create correct translation, transcription and pronunciation. 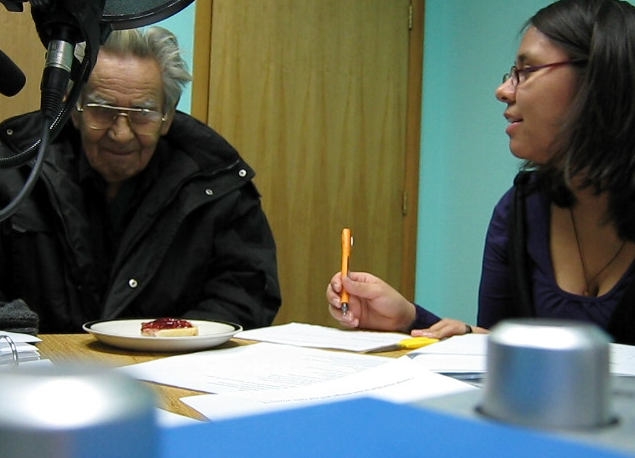 Ts’inni Steven - an incredible and generous Elder, Lisa White - transcriber extraordinaire and also learning Haida, Jordon Seward - audio recorder and technical expert and Primrose ‘Bipsy’ Adams - who would also help choose words and phrasing. It was great to know that the work for the Our World films would also be put into a community archive for language preservation.